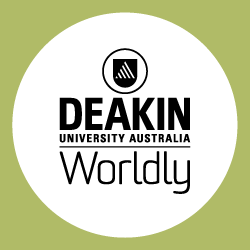 On behalf of Dr. Lee Ann Rollins (HDR Coordinator) we would like to invite you all to an information session about the NEW HDR PROGRAM at Deakin, with Amanda Mayor from Deakin Research – HDR. This event will be held on November 25th from 3:00-4:00pm in ka4.207. Amanda will provide some background information, discuss the main elements of the program and how prospective changes may impact current and future students.